Come experience an Arkansas morning chasing waterfowl with us at Big Creek. There is nothing better than when the migration is in full swing watching waterfowl work the decoys and a well trained retriever do his job. Our guided Arkansas waterfowl hunts include lodging, food, and drink. A full breakfast will be served each morning, along with dinners featuring steaks, wild game, and many other great options. Our current group rate is $1,600 dollars per day. When booking a trip, a 50% deposit is required to hold your booked date. Please keep in mind that individual cancellations within ones hunting party do not affect the total booking rate/cost that has been confirmed. Any modifications to this policy must be confirmed in writing by Big Creek Waterfowl. This flat rate includes lodging accommodations and a morning hunt of up to four (4) guests. Groups larger than four are always welcome, each additional guest will be $400 per day. Our lodge allows us to comfortably sleep small or large groups. We also offer the opportunity to hunt geese in the afternoon. The rates are listed below. 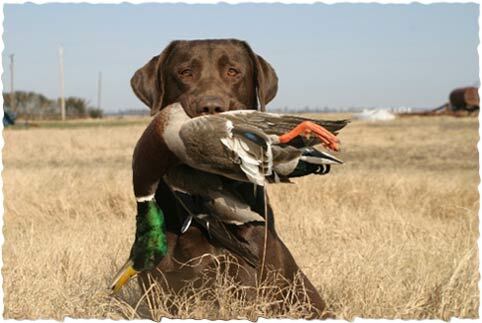 $150.00 per person (per hunt) if booked with morning duck hunt. Customized hunts are set up to meet the customers requirements. We offer Upland shoots so please call for a quote on a hunt package. We do accept credit cards. We are required to charge a 3% processing fee for credit card payments. Snow, Blue and Ross's Goose Combined Daily Bag Limit: 20 Snow, Blue and Ross's Goose Combined Possession Limit: No possession limit. 2. Hunters may use electric calls. 3. Shooting hours are one-half hour before sunrise until one-half hour after sunset. 4. No federal or state waterfowl stamp is required. 5. Hunters must have a valid hunting license, but it may be from any state. 6. Hunters must call (800) 364-4263 (Monday-Friday, 8 a.m.-4:30 p.m.) or click here to visit our permit page and click "Submit New Permit Application" for a free registration permit number.